CAPRISA annual strategic meeting was presented at the International Conference Centre (ICC) in Durban. We were present and two of our manuscripts (Lancet HIV 2017 and Science 2018) were presented. 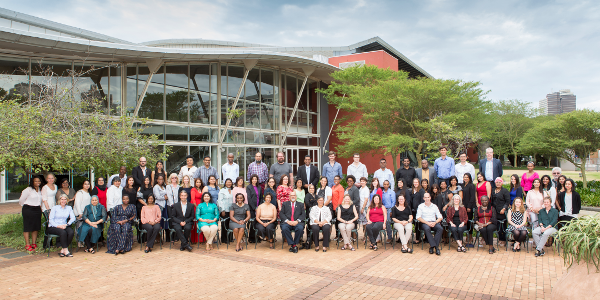 Delegates at the annual CAPRISA Research Update and Strategic Planning meeting held on 31 January to 1st of February 2018 at the Durban International Convention Centre (ICC). Sessions included: HIV Vaccines and Pathogenesis, Epidemiology and Prevention, Mucosal Immunology and Microbiome and, HIV and TB Treatment. This meeting had many top researchers and policy makers, including Professor Alan Aderem Centre of Infectious Disease in Washington, Prof Glenda Gray President of the SAMRC, Dr Izukanji Sikazwe of CIDRZ and Ms Glaudina Loots of the Department of Science and Technology (DST). Presenters participated in a panel discussion in the session, Reflections of CAPRISA in 2017.